The parade of foreign artists coming to perform here in Manila continues, with big-name stars topbilling shows almost every week. What we don’t get a lot of, it seems, are artists from elsewhere in Southeast Asia. This was thankfully remedied with a visit from a delightful indie folk act called Stars and Rabbit from Indonesia just this past weekend. The band is composed of guitarist and percussionist Adi Widodo and vocalist and main songwriter Elda Suryani. I can’t remember the last time a musical artist from Indonesia came to visit the Philippines, outside, perhaps, of Anggun some years ago. We have local indie stalwart Clem Castro, aka Clementine, aka Dragonfly Collector, to thank for making this happen. According to Clem, Stars and Rabbit’s management contacted him through his indie label Lilystars Records about possibly distributing the duo’s self-titled debut album here in the country. 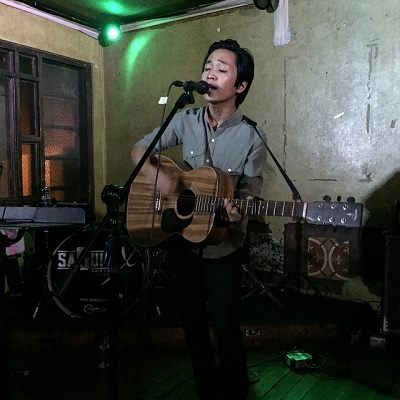 The negotiations eventually evolved into a live performance as part of the band’s Asian tour, which happened last Sunday night in local alternative music hangout Saguijo. “We just came from playing in China, in Guangzhou,” Elda told me inside the venue a couple of hours before they went onstage. “I can’t believe we’re here in Manila!” While her partner Adi was laidback and a bit shy, Elda was animated and gregarious as she talked about how the band was formed and their musical influences. 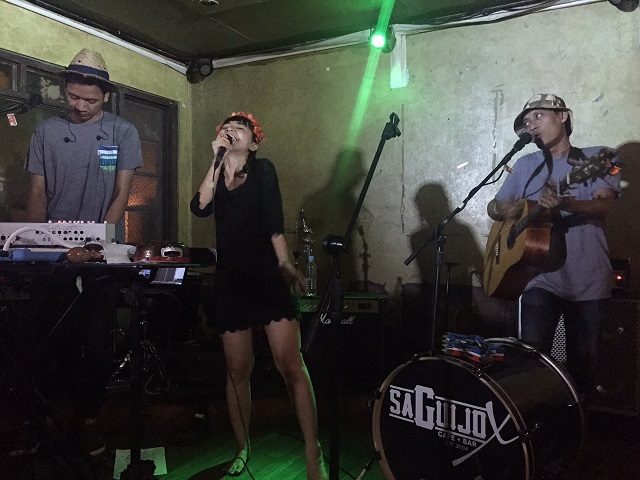 Before their set, a few support acts warmed up the Sunday evening Saguijo crowd. I was particularly wowed by a couple of solo acoustic performers. 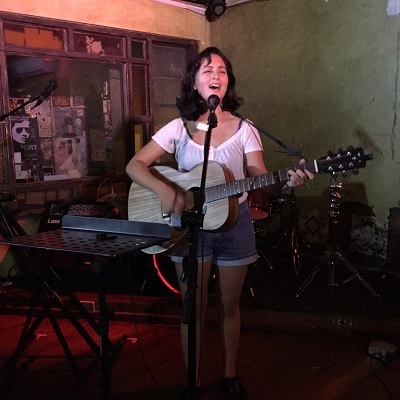 Sagada native Jen Rogers channeled Julie Delpy’s quirky but luminous Celine of the film “Before Sunset” as she strummed her guitar and sang about wanderlust and falling in love during a one-night stand. She was admittedly nervous (and Clem would tell me later she’s actually still a student), but I thought she did great. In a sea of overconfident, self-assured veterans, her honesty and vulnerability was her appeal. The other act was twentysomething singer-songwriter Ian Penn. It was just him and a guitar (and a harmonica on one song), but his combination of classic Americana-folk (think Bob Dylan and Neil Young) and modern, melancholic indie-pop soul was like a cool refreshing towel on a hot summer’s day. I can’t wait to hear more from this guy. (Good thing an EP is due to be released very soon). After performances from Bing Austria (yep, Juan Pablo Dream! ), and Clem’s alter ego Dragonfly Collector, Stars and Rabbit finally made their way onstage at a few minutes past midnight. Barefoot and wearing a black dress and flower crown, Elda immediately earned the crowd’s support and approval with her wide smile and open, pleasant disposition. She was like ball of positive energy, with little pigtails and tiny star stickers on her cheeks. Elda’s vocals reminded me a bit of Feist and our own Kate Torralba: piercing and hypnotic, but overall, she was like a more approachable, less high-strung Bjork. Their music was thoughtful and effervescent, like something you would hear at a classy coffee shop, or blaring from the headphones of a mysterious acquaintance who sits alone at a corner table in the cafeteria. It wasn’t hard to get into the melodies, and her lilting vocals were made even more endearing by her slightly accented English. It didn’t hurt that she engaged the crowd in between songs with funny anecdotes. Check out more of Stars and Rabbit at starsandrabbit.com and at lilystars-records.com. Paul John Caña is a magazine writer and live music geek. He is also co-founder of libreto.org, an online collective of writers and artists. Email him at pjcana@gmail.com or follow him on Twitter and Instagram @pauljohncana.